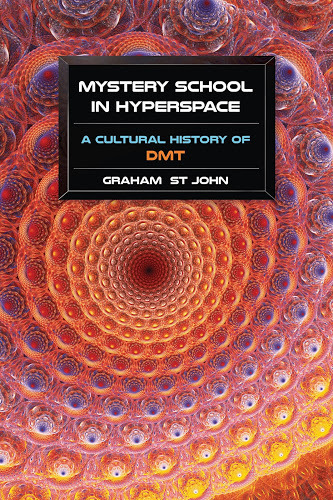 Free Download Chapter 1, “DMT: An Enigma Wrapped in a Mystery” from Mystery School in Hyperspace: A Cultural History of DMT by Graham St John (NAB/Evolver). “Graham St John’s book on DMT untangles the threads of this holy molecule, from anthropological antiquity to labs in Hungary, from hipster soothsayers to visionary art at festivals, including some of the best descriptions of the wonderfully weird tryptamine worlds inside all of us. Read Mystery School in Hyperspace and appreciate the miracle in our midst.” —Alex Grey, artist and author of Net of Being.